Our small bathroom lacks in the storage department. We have a builder's grade vanity that houses lots of our essentials but more is always needed. 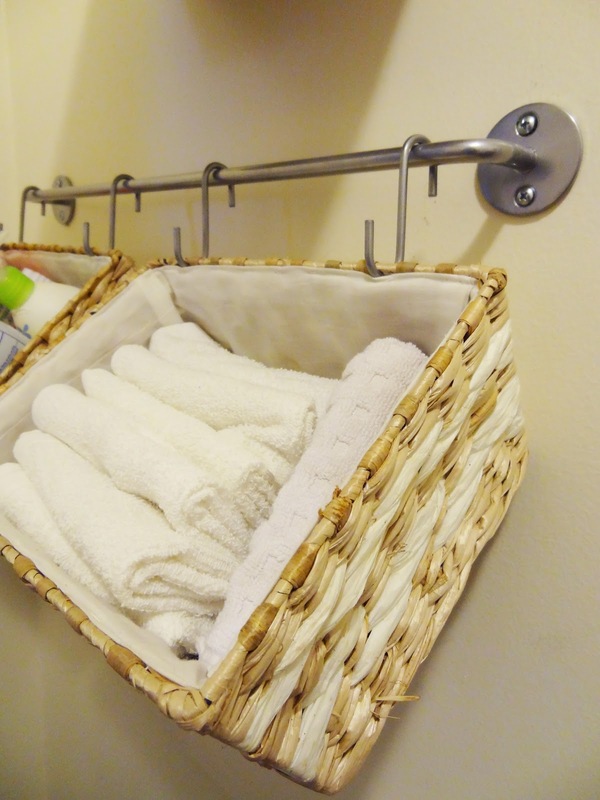 After stumbling upon some wall storage using ikea bygel rails and baskets I decided to make my own and mount them right outside the bathroom door. The idea is a great one - my execution of it, not so much. Not only is it messy and unorganized, but our little monster has a fascination with lotion and will do anything to get his little paws on it. Having it out in plain sight is both an eyesore and a temptation our little two year old can't shake. I prefer all the bottles and stuff to be hidden away and not the focal point in the hallway. This failure of a storage option is coming down. And a new solution for a lack of storage will be sought. We're considering building a small linen closet in its place, but that's a project for further down the road. 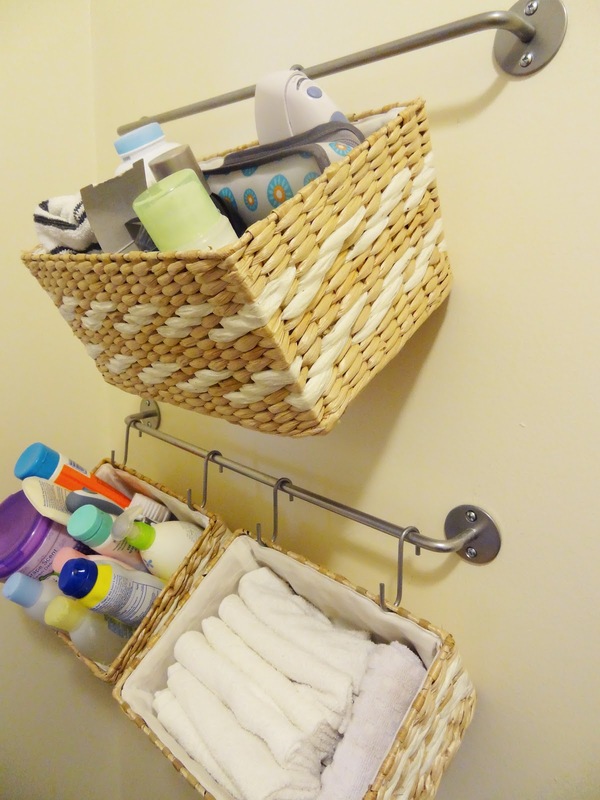 Do you have any tips on maximizing storage in small bathrooms? I'd love to hear them. The Return of The Notorious N.A.T.E.